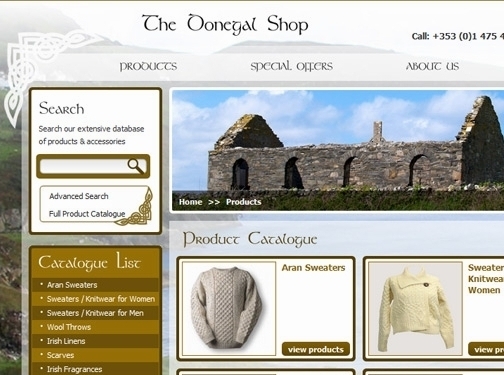 The Donegal Shop are Ireland's leading supplier of genuine Irish knitwear including Aran sweaters, fisherman sweaters, cardigans, wool throws, scarves, caps and much more. 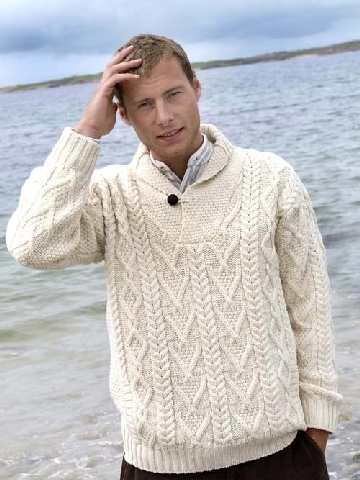 All of our wool products are hand woven in Ireland. Our century old tradition and our world-wide reputation is your guarantee of quality and value for money. 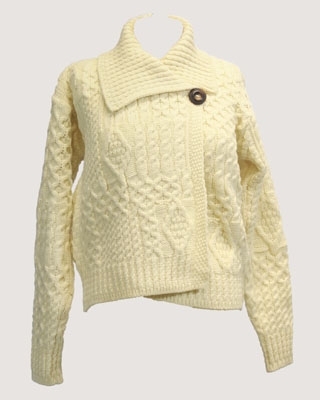 Irish (Dublin) based company - established in 1995 - providing Irish knitwear clothing and accessories for sale. Website includes e-commerce facilities, delivery and returns information (delivery information can be found under sitemap > Shop tax free for non-EU customers), terms and conditions, blog, details of highstreet shop in Dublin, full company contact details including company VAT number.